This is post 1 of 4 in the series Banjo Roots and Branches. When I started learning how to play the banjo in 2006, I was unaware of the rich and complex history of the instrument. I had no idea how perfectly the banjo would complement my fascination with music and the story of the United States. I am still going deeper down the rabbit hole that led me to purchase replicas of banjos from the 18th, 19th, and early 20th centuries. This is the first of four posts that mine the latest scholarship on banjo history from the book Banjo Roots and Branches (University of Illinois Press, 2018). It explores the African roots of the banjo. In my personal experience, when talking to people outside of the folk and old-time music worlds, the mention of the banjo almost inevitably elicits the response of someone referencing or even singing the opening phrase of “Dueling Banjos” (der-ner-ner-ner-ner-ner-ner-ner-ner) as heard in the movie Deliverance. To these and many other people today, the banjo represents American whiteness. In the mid-1800s, in the hands of blackface minstrel performers, the banjo represented American blackness. Sixty years earlier, it represented Africanness. What happened? The instrument proper to them is the Banjar, which they brought hither from Africa. The Old Plantation painting by John Rose, circa 1790. 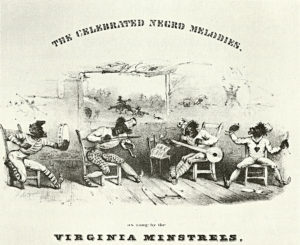 In 1843, the Virginia Minstrels introduced what became the standard instrumentation for blackface minstrel groups – banjo, fiddle, bones, and tambourine. Minstrel companies claimed their performances were authentic representations of Southern African American culture, which they were not. Banjo Player – The ultimate offensive towards redneck/ignorant racists. Contrary to past belief, of Cracker and Honkie being the most ‘offensive’ words towards white people, the term Banjo Player: implies being a redneck with all of its common stereotypes. The early gourd banjo is a creolized hybrid instrument that first emerged in the Caribbean during the 17th century. It is an African American instrument of West African heritage that emerged in the context of slavery, synthesizing African and European influences. 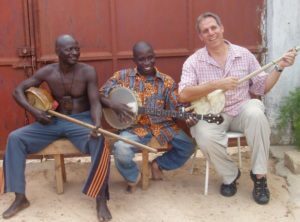 Over the past few decades there has been a surge of interest in the African roots of the banjo. This can be traced back to the pioneering work of Dena J. Epstein, who published an article in 1975 in the journal Ethnomusicology called “The Folk Banjo: A Documentary History.” In 1977 she published the book Sinful Tunes and Spirituals: Black Folk Music to the Civil War. Shlomo Pestcoe was one of a handful of scholars who took up her challenge to continue this groundbreaking research. 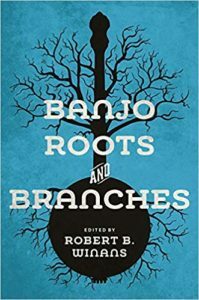 That growing consortium of scholars has now produced the book Banjo Roots and Branches, published by the University of Illinois Press in their series Music in American Life. It was edited by Robert B. Winans and includes contributions by Winans, Pestcoe, Greg C. Adams, Nick Bamber, Jim Dalton, George R. Gibson, Chuck Levy, Pete Ross, Tony Thomas, and Saskia Willaert. The book is a collection of essays that explores the banjo’s roots in West Africa, its development in the Caribbean, and its circulation and traditions in the United States. The authors use a method they call “ethno-organology” to study music making within cultural contexts as well as the historical development, classification, and technology of the instruments themselves. The story of the banjo begins in Africa. There is likely no single ancestor to the banjo. The instrument shares design elements and playing techniques with a family of approximately eighty known West African plucked spike lutes. Lutes are string instruments with necks that are distinct from their bodies. “Spike” implies that the neck passes over or through the body of the instrument, either all the way to the end of the body (full spike) or part of the way (semi spike). “Plucked” means that it produces sound when the strings are struck or plucked, as opposed to being played with a bow. Perhaps the most closely-investigated ancestor of the banjo is the akonting (or ekonting) found today in the Senegambia region of West Africa. Senegambia includes Senegal, the Gambia, Guinea-Bissau, and portions of Mauritania, Mali, and Guinea. The akonting is usually played in relaxed social settings, sometimes accompanied by singing, percussion, and/or dancing. Banjo Roots and Branches features interviews with Jola akonting master musicians Ekona Diatta and Sana Ndiaye conducted by Chuck Levy. The akonting and other West African plucked spike lutes are played with a technique that is very similar to the earliest known banjo playing techniques in North America. Players use a down-stroke technique in which a lead finger and thumb work in tandem to sound the strings. The lead finger, usually the index or middle finger, strikes a string or strings with a downward motion, and the thumb might pluck a string as the hand returns to starting position. This is the playing style taught in the first published banjo instructional manuals, starting with Briggs’ Banjo Instructor in 1855. It is also the primary style associated with many old-time banjo players from the late 19th century through today, although there are also common up-picking styles. The down-stroke technique is generally referred to as clawhammer or frailing among old-time banjo players. It was called stroke style in the 19th century banjo tutors. Greg C. Adams and Chuck Levy collaborated on an essay in Banjo Roots and Branches that compares the playing techniques of the banjo and akonting with great precision. They emphasize, however, that they are not suggesting that the akonting is “the” ancestor to the banjo. The authors encourage additional study of all plucked lutes that utilize a down-stroke technique. In another chapter, Adams and Pestcoe list all the known West African plucked spike lutes, indicating full or semi-spike, traditional social performance context, ethnic group, country, number of strings, type of bridge, and body construction. The roots of the plucked spike lutes of West Africa can be traced back 4,000 years to the first known lutes – the spike lutes of ancient Mesopotamia known as the pantur. It appears that the pantur spread from Mesopotamia northwest to Anatolia (present-day Turkey) and west and south to Syria and Canaan (present-day Israel and Palestine). Historic records indicate that the plucked spike lute was brought to Pharonic Egypt between 1640 and 1540 BCE when nomadic Semitic tribes from Canaan and Syria dominated the country. They arrived in West Africa as a result of trade with Muslim Berbers who crossed the Sahara from North Africa during the 9th century CE. The West African and ancient Mesopotamian plucked spike lutes share three basic design features. The body is made from either a gourd, calabash, or carved wood covered like a drum with an animal hide. The neck is a plain round stick without frets. The strings are attached to the neck with leather or cloth strips tied as rings around the neck. These rings are slid up or down the neck to tune the instrument by tightening or loosening the strings. Early gourd banjos emerged in the Caribbean during the 17th century with West African plucked spike lute elements. They also incorporated European-inspired design innovations. 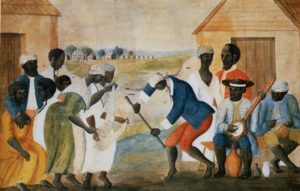 Part 2 of this 4 part series looks at these developments in the Caribbean as the banjo evolved the New World. 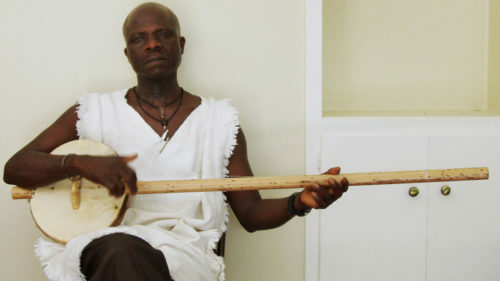 The featured image at the top of this post is a photograph of Jola scholar and musician Laemouahuma Daniel Jatta with an akonting. Jatta is from Mandinary, Gambia. The photograph was taken by book contributor Chuck Levy.